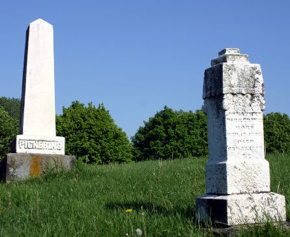 A West Virginia county board of supervisors has approved the development of an ecologically friendly cemetery. A special-use permit approved this week allows for a funeral home to establish the 8-acre Duck Run Natural Cemetery on a former dairy farm in Penn Laird. Bodies will be buried without embalming fluid, concrete vaults or gravestones. Bodies could be placed in a biodegradable casket but people may choose to be wrapped and buried without one.